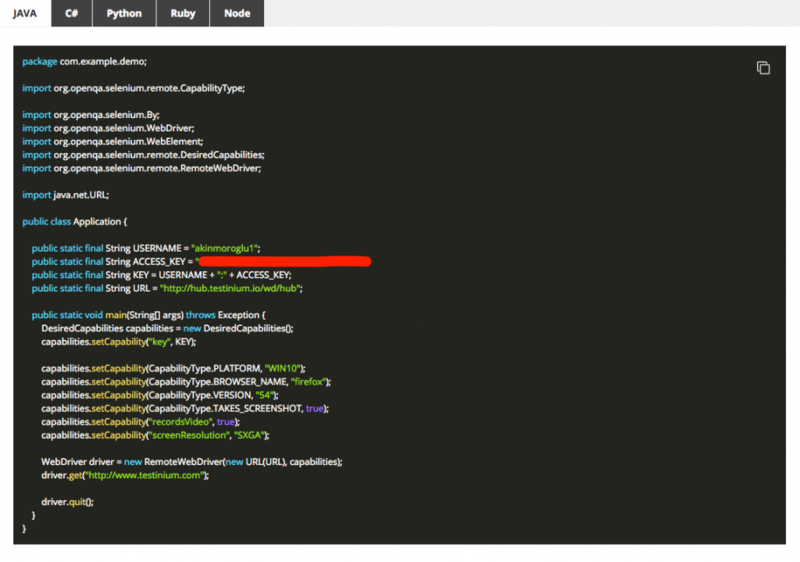 Additionally, Testinium provides classical test automation concept as well. You need to simply switch to AUTOMATED TEST section from the top menu. Java, C#, Python, Ruby or NodeJS all languages are supported by Testinium and your DesiredCapabilities code get ready instantly. So, you can run your local test scripts securely in Testinium device farm in a few seconds. Results of Automated runs can be accessible via Reports tab based on each run. 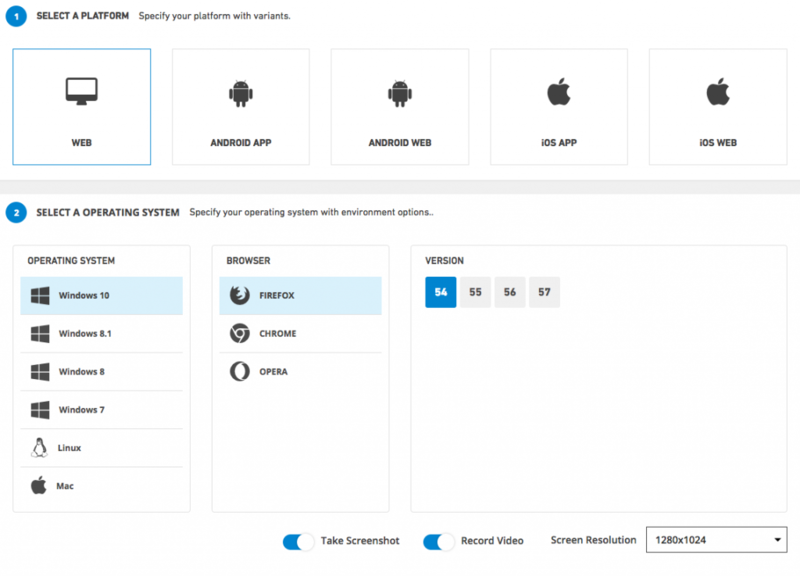 Testinium does record both video and screenshots.